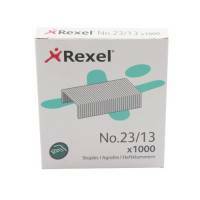 Rexel No.23 8mm Heavy Duty Stapler and Tacker Staples (Pack of 1000) 2101054 Pack of 1 "Rexel heavy duty 23/8mm staples. Rexel No. 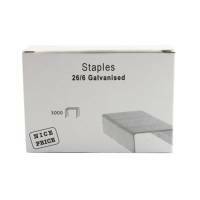 23 Staples guarantee accurate, trouble-free stapling and are recommended for selected Rexel Tackers and Heavy Duty Staplers." 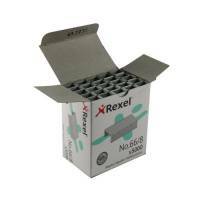 Rexel No.23 13mm Heavy Duty and Tacker Staples (Pack of 1000) 2101053 Pack of 1 "Rexel No. 23 Staples (13mm leg length). Heavy Duty Staples compatible with Rexel Goliath, Gladiator and Apollo Staplers. (26/6 staples shown)." 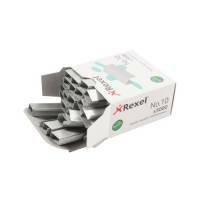 Rexel No.23 17mm Heavy Duty and Tacker Staples (Pack of 1000) 2101052 Pack of 1 "Rexel No. 23 Staples (17mm leg length). Heavy Duty Staples compatible with Rexel Goliath, Gladiator and Apollo Staplers. (26/6 staples shown)." 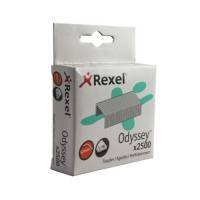 Rexel Optima 56 26/6 Staples Tin of 3750 2102496 (Pack of 3750 ) Pack of 1 Rexel Optima Staples. Guaranteed jam-free staples presented in a professional and secure tin. No.56 (26/6). Each tin contains 3750 staples. 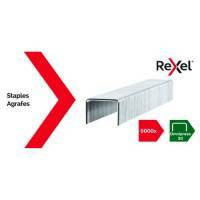 Rexel Optima 70 Heavy Duty Staples (Pack of 2500) 2102497 Pack of 1 Rexel Optima Staples. Guaranteed jam-free staples presented in a professional and secure tin. HD70. Each tin contains 2500 staples. 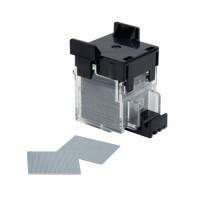 Rexel No.5000 Staples Cartridge For Stella 30 (Pack of 5000) 06308 Pack of 1 Rexel staples are precision engineered to the highest standards of quality and performance. There's a Rexel staple to fit every stapler in the Rexel range. 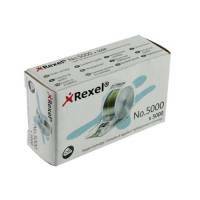 Rexel staples No5000 cartridge. (26/6 staples shown). 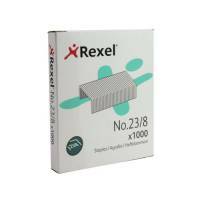 Rexel No.25 4mm Staples 10 Sheet Capacity (Pack of 5000) 05025 Pack of 1 Rexel staples are precision engineered to the highest standards of quality and performance. There's a Rexel staple to fit every stapler in the Rexel range. No.25(Bambi). 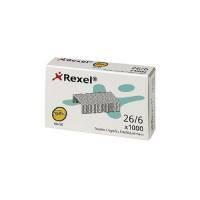 Rexel 5mm Staples No.10 6005 (Pack of 5000) Pack of 1 Rexel staples are precision engineered to the highest standards of quality and performance. There's a Rexel staple to fit every stapler in the Rexel range. No.10. (26/6 staples shown). 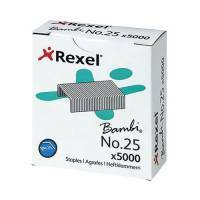 Rexel No.16 (24/6) 6mm Staples 25 Sheet Capacity (Pack of 5000) 6010 Pack of 1 Rexel staples are precision engineered to the highest standards of quality and performance. There's a Rexel staple to fit every stapler in the Rexel range. No.16. (26/6 staples shown). 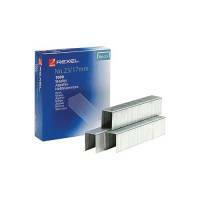 Rexel Staples No.56 6mm 06025 (Pack of 5000) 6025 Pack of 1 Rexel No.56 Staples. Precision engineered to the highest standards of quality and performance. No.56/6mm. 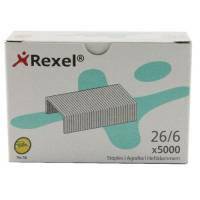 Rexel No.66 8mm Heavy Duty Staples (Pack of 5000) 06065 Pack of 1 Rexel staples are precision engineered to the highest standards of quality and performance. There's a Rexel staple to fit every stapler in the Rexel range. No66/8. 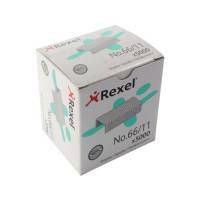 Rexel No.66 11mm Heavy Duty Staples (Pack of 5000) 06070 Pack of 1 Rexel staples are precision engineered to the highest standards of quality and performance. There's a Rexel staple to fit every stapler in the Rexel range. No.66/11. 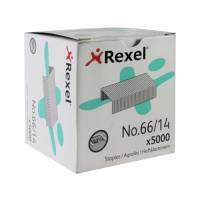 Rexel No.66 14mm Heavy Duty Staples (Pack of 5000) 06075 Pack of 1 Rexel staples are precision engineered to the highest standards of quality and performance. There's a Rexel staple to fit every stapler in the Rexel range. No.66/14. 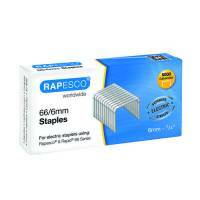 Rapesco Staples 6mm 66/6mm (Pack of 5000) S66600Z3 Pack of 1 Reliable Rapesco technology. Designed to be hard wearing. Suitable for all Rapesco Staplers. Easy to use..
Rapesco EH20FE Staple Cartridge (Pack of 2000) SCEH20F1 Pack of 1 Reliable Rapesco technology. Designed for use with EH-20FE. Easy to fit. One cartridge containing 2000 staples. 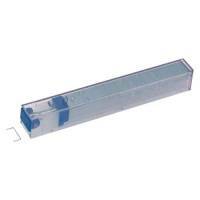 Rapesco EH-70F Staple Cartridge (Pack of 5000) 0832 Pack of 1 Durable staples for document collation. Designed for use with EH-70F. 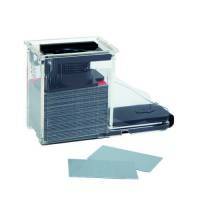 For use on up to 50 sheets (80gsm). 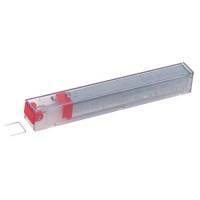 Easily installed into your stapler. Contains 5000 staples. Rapesco 73/10mm Staples (Pack of 5000) 0456 Pack of 1 For use with the Rapesco Heavy Duty HD-73 Plier. High quality steel wire with galvanised finish. Chisel point. 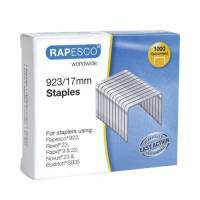 Rapesco 923/17mm Staples (Pack of 1000) 1240 Pack of 1 Rapesco 923/17mm Staples Pack of 1000 1240. High quality steel wire with galvanised finish. For use with compatible heavy duty staplers. Chisel point.